Trump Plays a Long Game in Saudi Arabia. Who Will Be the Next King? We’ve all heard the horrific accounts of how Saudi henchmen murdered journalist Jamal Khashoggi. These accounts blend barbaric details with the sheer incompetence of the killers when it comes to operating in stealth and covering their tracks. 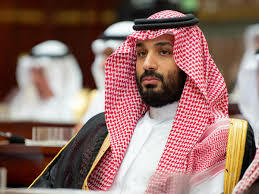 This fiasco has landed squarely in the lap of Crown Prince Mohammed bin Salman, “MbS,” who is the son of the current king and heir to the throne. President Trump has had to navigate through this crisis with a combination of criticism, skepticism about Saudi alibis and economic sanctions. At the same time, Trump has to preserve relations with the kingdom of Saudi Arabia, which is a key energy supplier (one of the “Big Three” along with Russia and the U.S.), major weapons customer and ally against terrorist and nuclear threats from Iran. This article explains Trump’s balancing act in great detail. What the mainstream media miss (as usual) is that Trump’s choices are not limited to criticizing MbS or ignoring the crime. A deeper choice is that MbS may be on his way out based on the actions of other Saudi royals. Trump is preserving our relationship with Saudi Arabia while giving the Saudi royal family time to sideline the crown prince and replace him with a more mature choice as the next king. Trump deserves credit for his foresight and finesse instead of constant criticism from the anti-Trump media.